However, the apex court; finding some illegality in the list of investors, asked these firms to pay off the fund with the market regulator. The order further had empowered SEBI to seize the properties of the firms, in case of failure from their part to pay the amount in time. 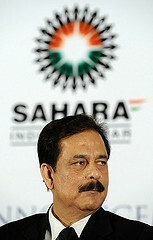 SEBI approaches SC for Sahara Chief Subrata Roy’s arrest. 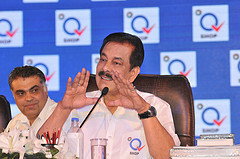 In its petition filed to the Supreme Court, SEBI requested the SC to take necessary measures permitting the market regulator to arrest the directors and the chief promoter of Sahara Group. Justice K.S. Radhakrishnan -headed SC bench said that it will consider the application of SEBI, however probably once the Holi Festival gets over. Blaming the Sahara firms for not complying with the order of SC, SEBI stated that it is ‘just’ thing to be done. It added that promoter and the directors of the firms really deserve this. Though the court had permitted them to pay the amount in installments, the firms did not comply with the order. Nor they paid the installments. On the other side both the firms claimed that they have paid the amount with the SEBI. As per their claims their remaining amount to be paid is a mere Rs.2620 Cr and nothing more than this. This entry was posted in Real Estate News and tagged Sahara Firms, SEBI, Securities and Exchange Board of India, Subrata Roy, Supreme Court by designer. Bookmark the permalink.